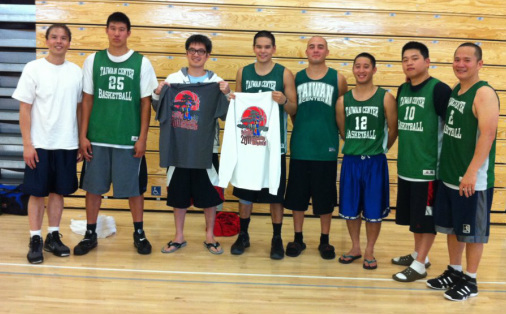 After 3 years of not having a tournament, Mofufus League commissioner Kenny Phan decides to throw on an all Asian basketball tournament. This tournament will feature an AA division and an A+ division. "Menehunes-PeeKaBoo" will be playing in the A+ division and "Taiwan Center" will play in the AA Division. Both teams have there work cut out for them since its a 3 games in 2 day tournament format with semi-stop clock. Menehunes-Peekaboo roster will consist of: Ryan Lee, Pierre Recinto, Anthony Nocon, Jason Murashige, Reuben Medina, Mark Nitake, Ray Hong, and Bryant So. They will be coached by Jimmy Miyasaka and have a player captain Ryan Lee. Due to Jimmy Miyasaka's health it isnt looking like he will take part on the court but he will be doing coaching off the court for Menehunes and Taiwan Center. Menehune players playing on Taiwan Center are: Jun Uchida, Jarrod Carroll, reserve Billy Hofman and Coach Jimmy Miyasaka. Notable nationally ranked teams in Mofufus tournament: #10-Alpline Striders, #11 Taiwan Center, and #14 Walnut JL. 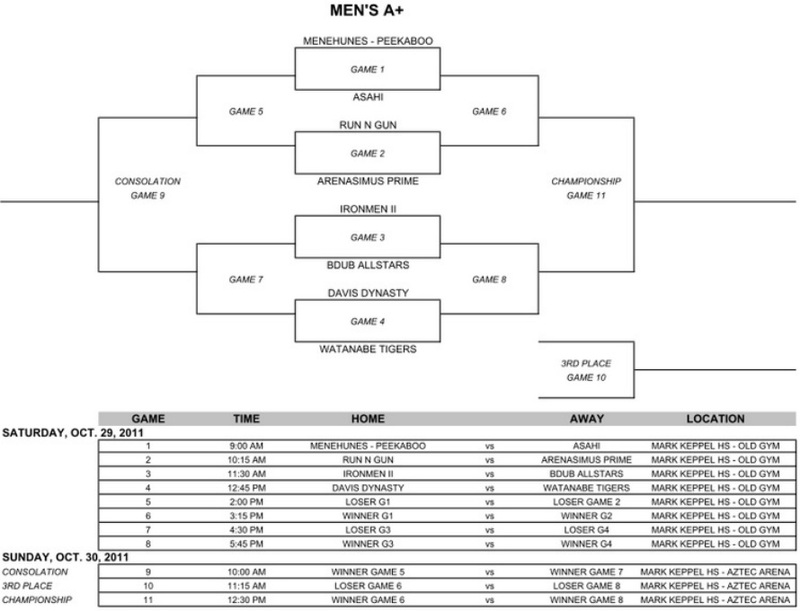 Menehunes-Peekaboo has the tournament opener at 9am on Saturday morning. All games will be two halves, 20 minutes semi-stop time (on free throws) and full-stop time on last 15 seconds of the 1st half AND last 2 minutes of the 2nd half. There will be a 30 second shot clock for regulation (on request) and all overtime(s). Timeouts: 4 Full Timeouts (no carry-overs). Overtime: 1st overtime: 2 minute stop time. 2nd overtime: sudden death (Shot clock is in effect.) One timeout per OT. All games will be played at Mark Keppel High School (address: 501 E. Hellman Ave, Alhambra CA 91801).